Almost 70 companies publicly traded on U.S. stock markets have found North Korean gold in their manufacturing supply chains. Among the more prominent names are electronics companies IBM, HP, Garmin, Philips and Seagate, U.S. kitchenware retailer Willams Sonoma. The discoveries were disclosed in reports to the U.S. Securities and Exchange Commission that are the result of a new law that mandates companies audit their suppliers and identify sources of so-called conflict minerals: gold, tin, tungsten and tantalum. The companies all named North Korea’s central bank as the source of some gold that made its way into their products. How exactly it ended up being used was not disclosed but it’s likely the gold was procured by a supplier, possibly several steps down the chain. Gold is commonly used in electronics products, especially in semiconductors, because it provides a high quality connection between components and devices. The provision of the Dodd-Frank Wall Street reform law that resulted in the disclosures is mainly targeted at identifying companies that use such minerals from the war-torn Democratic Republic of Congo, so the revelation that some North Korean gold is getting into electronics is a byproduct of that. 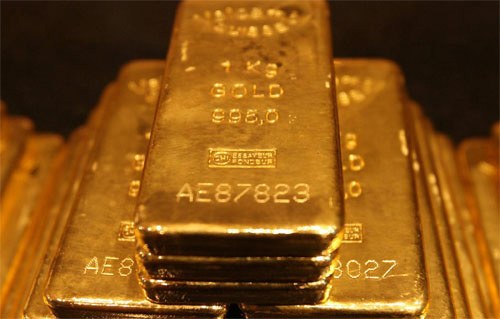 The Wall Street Journal reached out to several of the companies to find many said the gold entered several levels deep in their supply chain. Another famous name that disclosed North Korean gold use, fashion retailer Ralph Lauren, said it was an error and would file an amended report.